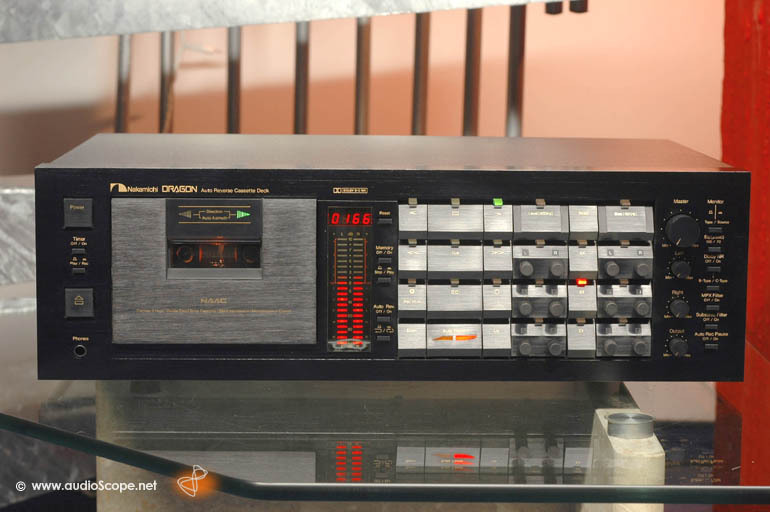 Nakamichi Dragon Cassette Deck for sale. 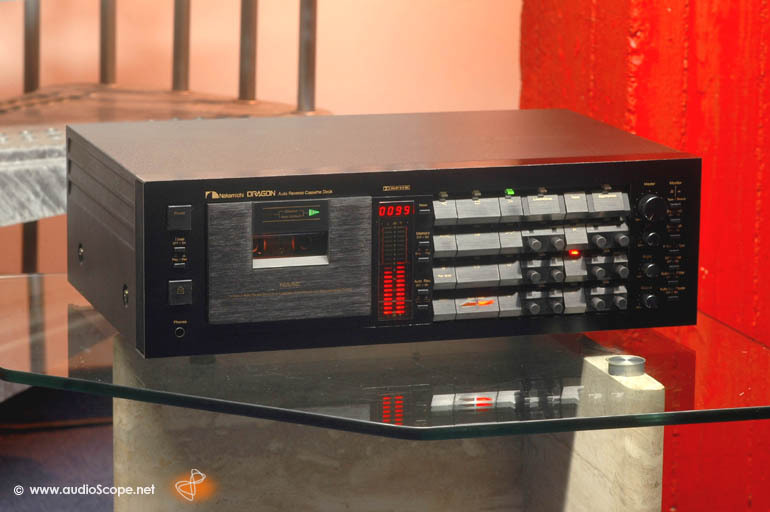 This unit is in wonderful condition, near mint. There is only minimal wear on the top cover from another unit, only visible in a certain light angle. 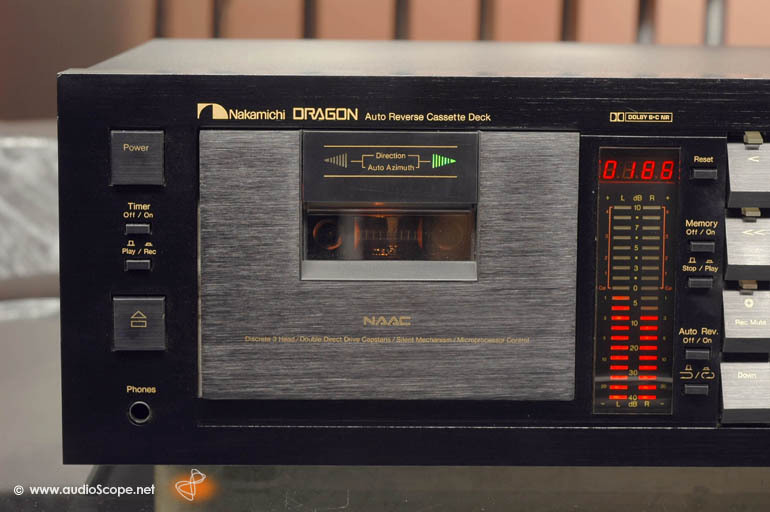 This Nakamichi Dragon has very low hours, you can see that all the lettering on the knobs is perfect. Further, the mechanism and all rubber is like new. No wear on the heads. All mechanical parts were comletely revised and all electrical adjustments were done. 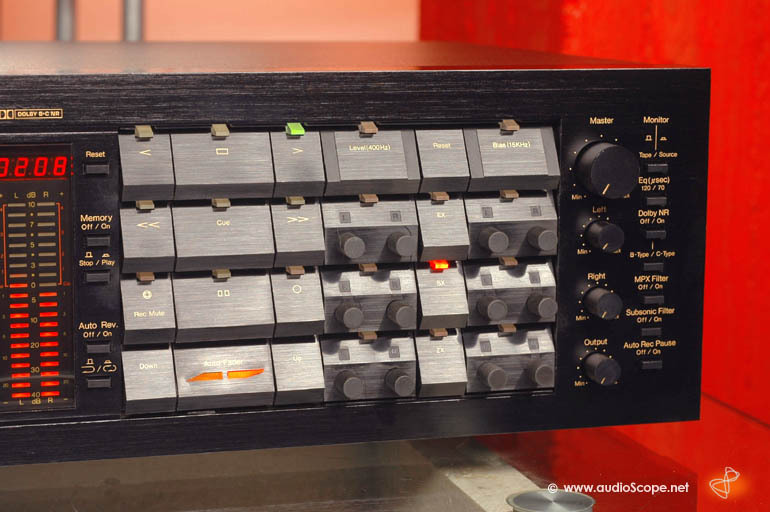 This Dragon plays without the unpleasant noises caused by unserviced units. Like the first day.